The theme of Bruckner's 7th Symphony came to him in a dream; the theme of Stravinsky's Violin Concerto came to him at dinner. We don't know where CPE Bach thought up his Symphony in Eb, but his music, which opens this concert, was pivotal in the development of the classical forms that Stravinsky would later draw on in his so-called 'Neoclassical' works. Nevertheless it is the music of his father JS Bach which is most resonant in Stravinsky's 1931 Violin Concerto: a work almost entirely derived from a single chord, scribbled on a napkin. 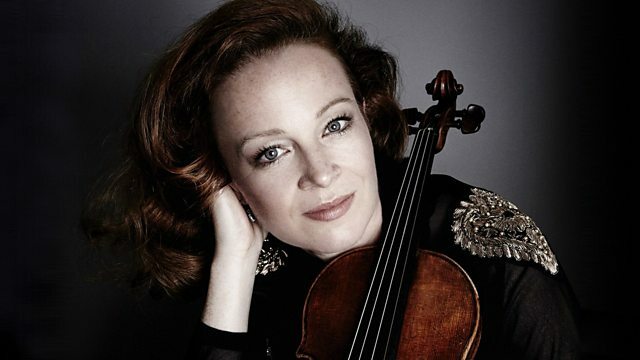 The BBC SSO, and conductor Ilan Volkov, are joined by the sparky virtuoso Carolin Widmann to play it. In contrast to the concision of these two composers' music stands Bruckner's 7th Symphony. It is massively more expansive in length but still owes a great deal to CPE Bach's 18th century formal innovations. Written in the 1880s it won international recognition for its composer. The symphony pays tribute to Wagner in its central death-hymn: and went on to be much admired by Hitler. Performer: Carolin Widmann. Orchestra: BBC Scottish Symphony Orchestra. Orchestra: BBC Scottish Symphony Orchestra. Conductor: Ilan Volkov. Conductor: Ilan Volkov. Performer: Piotr Hausenplas. Performer: Lech Napierala. Performer: John Mark Ainsley. Performer: Roger Vignoles.